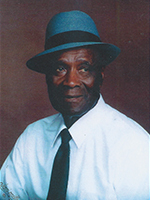 Eddie James Chandler II was born in Mississippi. Eddie moved to Riverside in 1938. He was employed by Santa Fe Railroad and later had his own landscaping business.